Postal officials hope to choose a vendor by the summer of 2015 to begin building prototypes. The plan is to award the contract to the chosen automaker in 2017 and launch the new fleet in 2018. A mix of truck models are being considered but a major change to the vehicle will be it's size. Today, more inside space is needed to accommodate the USPS' growing package shipping services. Postal officials also shared that their letter carriers were surveyed to find out what they would like to see in the new vehicles and they said that they would like easier access to the back of the truck, more room to store packages and safety sensors and a backup camera for safer driving. 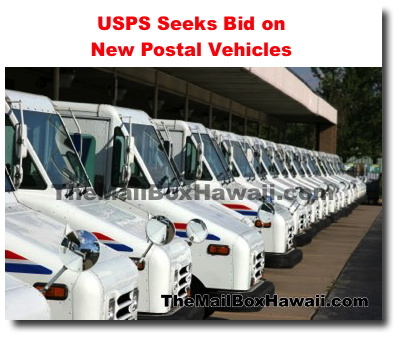 USPS would need about 180,000 new vehicles and would cost between $25,000 and $35,000 per vehicle. This bid would be awarded to a single vendor.